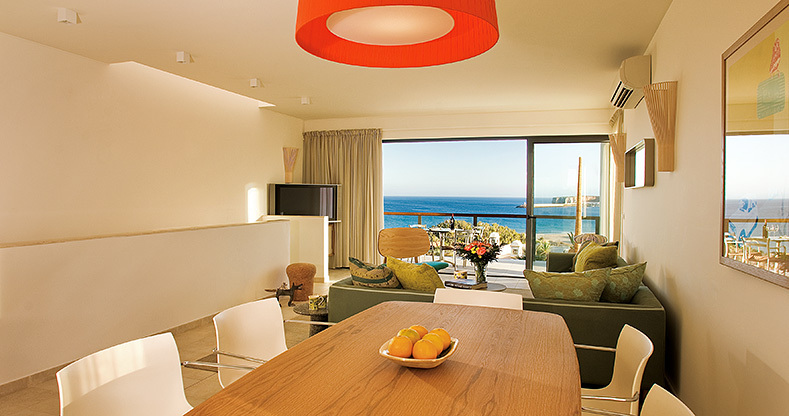 “Completely modern yet saturated with Portuguese traditions” is how renowned British award-winning furniture and interior designer Michael Sodeau describes the unique look and décor you will find in your accommodation whilst staying at the 5-star luxury Martinhal Beach Resort & Hotel. Walking into your room to find an idyllic wooden terrace to lounge on, delightful gardens and a beautiful ocean view will remind you of what you have always aspired to live during your holidays. A simplistic approach in décor however enriched with smooth pastel colours and modern furniture arrangements, will be sure to impress every guest accommodated in the Terrace Rooms. There is nothing more relaxing than listening to the sound of the ocean while admiring its beauty for endless moments. 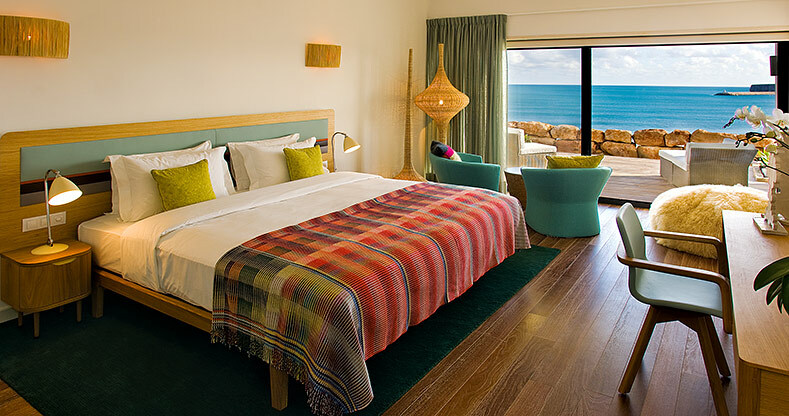 If you have chosen these rooms for your stay at this boutique luxury hotel, you can appreciate the beach’s nearby location and an advantageous view of the coast. Distributed in clusters of four, the Beach Rooms are appropriate for both single travellers or double guests, and possess a king or twin beds according to your request. 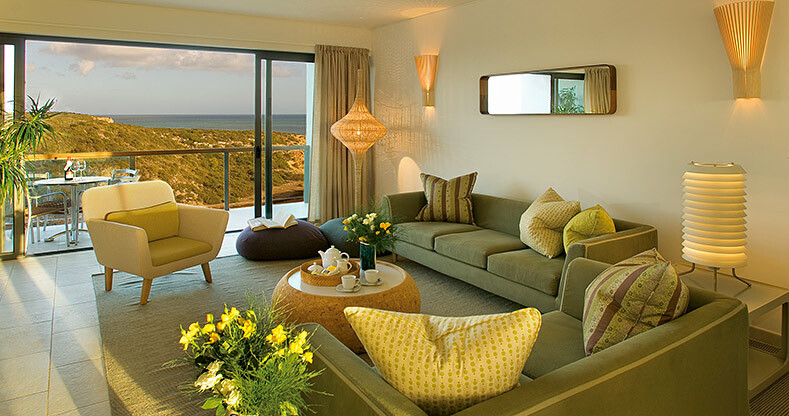 Being the most exclusive option for guests at the boutique luxury Hotel Martinhal, demanding visitors who are fans of lounging in holiday luxury and appreciate a unique décor won’t hesitate choosing the Beach Suites. 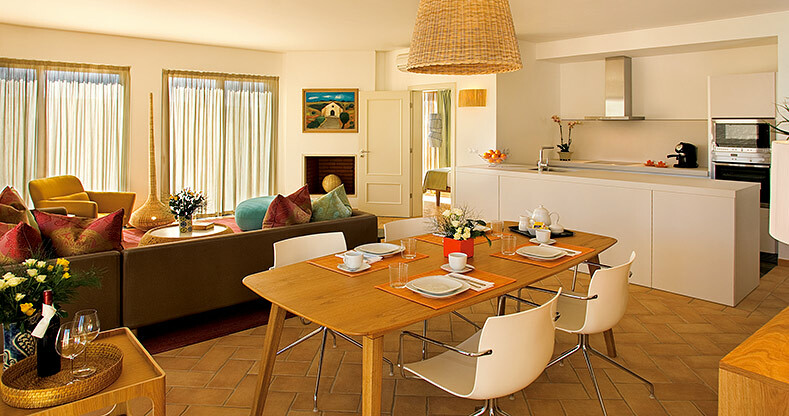 Influenced by the unspoiled character and natural beauty of the Western Algarve Region, these suites possess a blend between modern decorative elements, elegant wooden floors, private terraces and separate living areas, creating a simplistic, sophisticated, carefree atmosphere like no other. Private balconies or terraces, as well as satellite and Pay TV, Video on Demand and wireless Internet access are all included. Sipping some brand-name “London Tea”, as well as checking out the mini bar (complimentary soft drinks and water) are also some suggestions made by the Martinhal Hotel. BOSE Ipod docking stations, beach robes and slippers, a telephone, safe, daily newspaper and maid service, breakfast and room service are other integrated features. Bathrooms with showers and bathtubs (according to room), a sewing kit, nail file, hairdryer, heated towel rail, magnifying mirror, sink, bidet and a number of VOYA branded accessories have all been provided to improve the quality of your stay. You can be sure that these rooms will give you the perfect excuse to be lazy in luxury. It takes a creative mind to come up with the unique design, architectural structures and concepts that have been set in the Martinhal Village Houses. Spread throughout the main resort area in clusters, all village houses have been positioned in order to provide guests with a range of diverse settings and facilities to choose from. 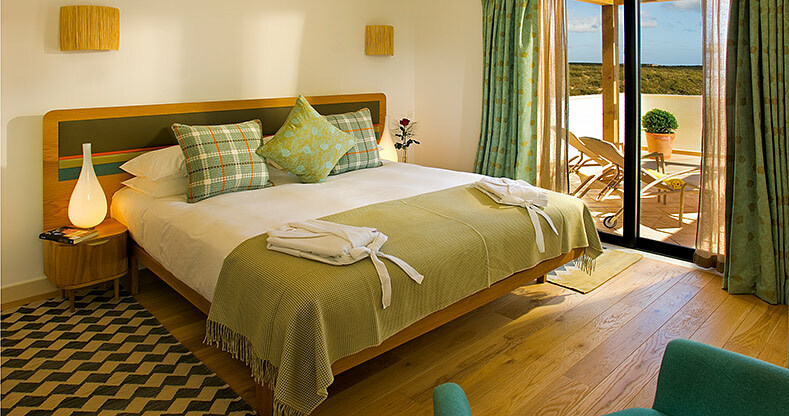 No matter who you are travelling with, whether its family, a group of friends or someone special, the village houses will be sure to suit all you could wish for your accommodation. Enriched with a contemporary edge and a countryside inspiration, an organic mood and simplistic sophistication set the perfect atmosphere in these holiday homes. 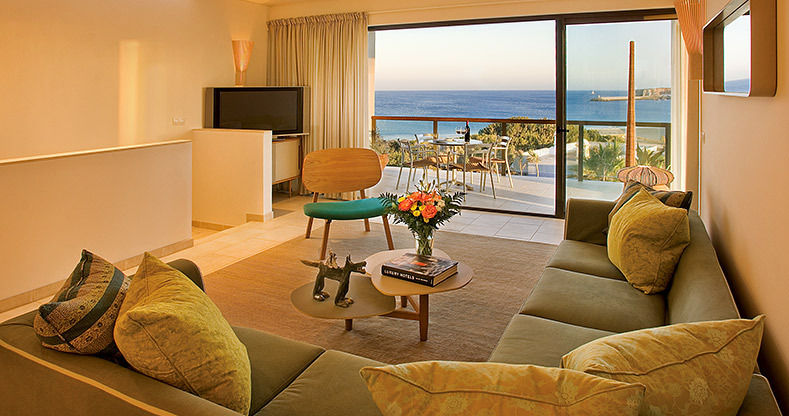 With living areas set on the top floor, the Ocean Houses are ideal for guests who are passionate about breezy ocean views and pure beach-side holiday experiences, while nature-loving visitors will find that the spacious and intimate Bay Houses might be a better option. Ideally structured to welcome travelling families with young children, the Garden Houses are sure to make your family happy. Surrounded by a harmonious parkland area, these houses have been thoughtfully set to ensure the quality, comfort and safety for for everyone. For those who understand the value of the perfect intimate holiday, the Martinhal Beach Resort & Hotel presents guests with the Pinewood Houses. Facing a pretty forest area, these houses include a private pool and garden - a fabulous suggestion for all guests. Accommodation occupancy is set according to specific village houses and can accommodate from 2 to 6 guests per house. 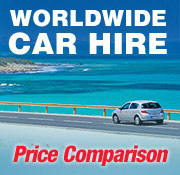 Rooms have king and twin beds, along with a number of facilities. Besides a kitchen area with a microwave, oven washing machine, dryer, ironing board iron and a set of features and utensils, a 32” satellite TV with multi-channel access and Video on Demand, are just a few of the features to be found. Wireless Internet access (not guaranteed), pre-order delivery meals and an Mp3 docking station are additional benefits. Verandas or terraces are common features in these houses. One to 2 bathrooms, a bathtub, shower, bidet, sinks, hairdryer, magnifying mirror and delightful VOYA amenities have all been placed in the bathrooms of these village houses. Whether you and your family have selected the luxury villas for your stay at the Martinhal Beach Resort & Hotel due to their secluded location, their regionally inspired architecture, style and décor, their “family friendly” atmosphere or because of its private pool and garden, one thing is right - there are plenty of reasons why families will love these luxury villas. Hot days can be enjoyed by laying within the comfort of your private pool and garden, while children splash around and dad happily prepares a barbecue for a great late afternoon meal. Towards colder seasons, you can gather near the warming fireplace and indulge in the pleasures of a cosy environment while engaging in some quality family time. A stylish approach based on a traditional southern-inspired look, mood and colours will give you a great sense of comfort. 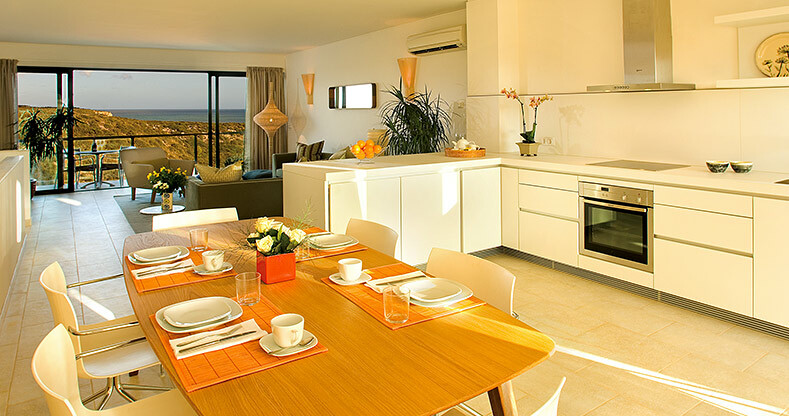 A full fit kitchen with several features, an oven, microwave, washing machine, dryer, satellite TV, functional and contemporary furniture, as well as a great terrace have all been included. Prepared to accommodate 6 guests, king and twin beds, baby cots, extra beds and rooms have all been adapted to receive specific occupancies. In-villa massages may be requested to top off this experience with a touch of luxury. Bringing the true essence of the southern countryside to your accommodation, you will be sure to have never spent a holiday where such a picturesque setting merges with contemporary details and design. 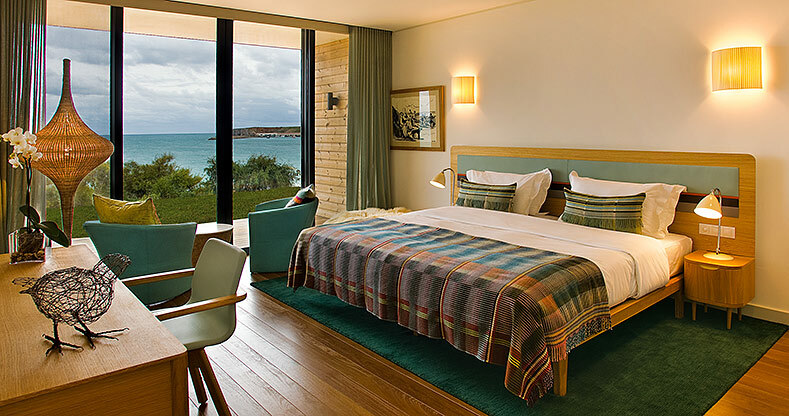 Boasting its private position in the resort, wide gardens, clubhouse and pool access (for both adults and children) together with wonderful views of Sagres and the resort are additional luxuries. Having the living lounge and kitchen set on the top floor in order for guests to indulge in these views, this exclusive design is truly impressive. Its clean-cut style and mellow colour selection, contributes to the sophisticated aura and nature involving atmosphere created in these townhouses. Central heating, air conditioning, satellite TV access, a fully equipped kitchen with a microwave and oven, along with a variety of features, a fireplace, iron and ironing board and BBQ terrace may all be expected. Accommodating a total of 4 guests, these townhouses include extra beds, baby cots, together with king and twin beds according to the number of guests occupying these houses.